Last Days Review: The Lord's supper, how often? And is it still a requirement for Christians? The Lord's supper, how often? And is it still a requirement for Christians? We are past the High Holy days this year and so I wanted to write an article this week that should be near and dear to the hearts of Christians worldwide. The subject is taking communion also know as the Lord's supper or the Lord's table and even Holy Communion. In the larger, more ebullient denominations, this practice is also referred to as the "Eucharist"! As a pastor, when I served communion to my congregation I liked to use the passages in 1 Corinthians chapter 11:23-26. Although Matthew chapter 26:26-28 is a somewhat abbreviated version of the same ceremony as is Luke 22:19-20. I have now retired from my church and write full time. But for several years I served communion each and every week as part of our regular service time. Some folks would think that extreme but I had my purpose which I will relate as this article unfolds. As new people would join us who had previously attended other fellowships, invariable I would be asked "In the past we only took communion once each month or once each year. So, why do you do this so often? Before I answer that allow me to explain. What we know as "COMMUNION" was undertaken by the Lord Jesus Christ with His disciples just prior to His voluntary death on the cross of Calvary. It was not just some "last supper" as is depicted by many painters and sculptures in famous pieces of art. In reality, the Lord was presiding over a PASSOVER feast (Seder) that memorialized the exodus story which related the events of Moses leading the captives of Israel out of Pharaohs slavery in Egypt. This "last supper" had in fact been celebrated in Jewish (and many Christian) households for about 1500 years prior to Christ's atoning death which now means well over 3500 years by todays calendar. The meal itself can take at least 3 hours to complete with very much ceremony involved in the complete telling of those terrible events including the various plagues that fell upon Pharaoh and his people because he refused the Lord's command through Moses to set God's people free. For a great read please refer to the Exodus story in your own Bible, Exodus chapters 1 through 15. Along with the question, "why so often? ", I would also hear "should we not just celebrate Communion at EASTER time? That gave me the opportunity to explain and draw very exacting lines between the event known as EASTER and what is really the message of communion. The death and resurrection from the grave of our Lord and Savior, Jesus Christ without which Christianity would simply be another empty religious shell. How can I say that? Easily because what separates Christianity from every other belief system in the world are two very distinct qualities. 1). To be a Christian is not to be religious (Religion refined: a SYSTEM of belief or worship, often involving a code of ethics). No, to be a Christian is to simply recognize and accept that Jesus Christ is Lord and has been resurrected from the dead. That coupled with sincere repentance. In other words, many "religions" have become legalistic messes that require specific works by their adherents to acquire salvation, whereas true Christianity is solely based upon the works completed by Jesus Himself at the cross of Calvary and is dependent solely upon our personal relationship with Him. 2). Salvation is a free gift from God solely based upon the grace extended to any man or woman ever born who will simply accept Jesus Christ as their Lord. And without the Lord's resurrection from the grave and His promise to do the same for all who follow Him, Christianity would have no power over death or promise of eternal life with a righteous God forevermore in heaven. So, for my explanation to those who questioned why I served Communion every week; In 1 Corinthians chapter 11 verse 26, the ceremony of communion ends with this statement "For as often as you eat this bread and drink this cup, YOU PROCLAIM THE LORD'S DEATH UNTIL HE COMES". Proclaiming that fact along with accomplishing the Great Commission is as I see it, the number 1 job of all believers in this world, plus simply obeying what Jesus said. 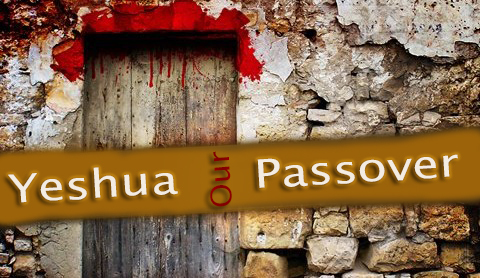 As a pastor, I wanted my congregation (not to mention myself) to keep both the Passover story and Jesus sacrificial death and resurrection literally before their eyes at all times, not just sometimes or once a year. Preparing for a communion service is a very special time of deep down heart wrenching reflection. A time when we as individuals can privately ask ourselves an incredibly important question? How am I doing? Is my individual walk with the Lord meeting HIS expectations? And if not, do I need to repent for anything happening in my life? Communion is a perfect time to do that. Now at this point I want to make something perfectly clear. 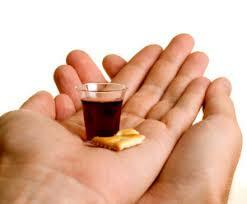 Serving Communion each and every week is something I chose to do, not something commanded in the Bible. If you attend a church that serves communion on a less frequent basis, it does not mean that it is wrong or that your pastor is not somehow living up to a Biblical standard. I am merely explaining the way I did things which does not make my way better than any other pastors. 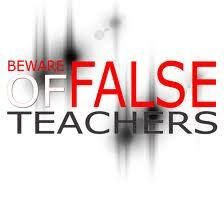 A church normally becomes a reflection of what is taught from the pulpit. Different pastors have different callings and priorities, simple as that. So why this article? Because for some, the "ceremony" of communion has become just that. A ceremony just like any other event found within the normal Christian church. But communion, is far more than simple ceremony and should be looked upon with eager anticipation and sincere thought by all concerned. It is interesting to note that a very famous theologian/Bible teacher, John Wesley (1703-1791, mentioned in the original edition of Fox's book of martyrs) personally received communion every 4-5 days throughout his long career. Part of his testimony is that he realized that this LORDS TABLE ceremony was far more than just ceremony. It provided spiritual refreshing and actual communion with the Lord. In other words, when taken properly the act of remembering what the Lord did for us is a form of personal communications with Him. There are in my opinion at least three ways in which taking communion is meaningful to Christians today; First, please remember that taking communion is a roadmap that relates to past, present and future. 1). 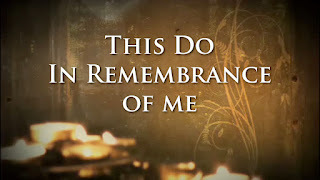 The communion service is a time of past remembrance because Jesus said in his statements in 1 Corinthians "do this is remembrance of Me"! Not so much in my opinion as dwelling upon the suffering of Christ upon the cross (although that is certainly important) but as it is to be in remembrance of the fantastic life and ministry of our Savior to humankind. What a great reminder it is that Jesus gave His life voluntary because of His love for us---no there reason! It is a time for us to express our very deepest level of praise and thanksgiving for all that our Lord has CHOSEN to do for us. The Passover meal proclaims the Hebrew peoples deliverance from slavery at the hands of evil Pharaoh. Exodus12:26-27. Also the blood of an unblemished lamb that the Hebrew families spread across their door posts and lintels saved the people from death. In the same way (now in the present) during the communion service, Christians proclaim their deliverance from sin and everlasting torment through the shed blood of the true Lamb of God, Jesus Christ who is the Messiah if Israel. In other words "CHRIST OUR PASSOVER"! 1 Corinthians chapter 5:7-8 and 11:26. 2). 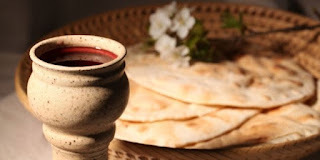 "The Lord's supper" is a time of refreshing and literal communion with the Lord Himself. 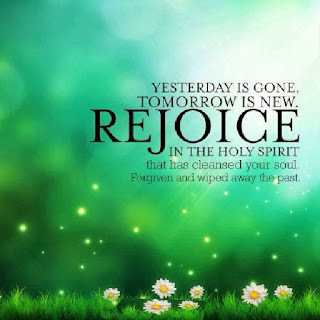 As we choose (just like He chose) to participate in the benefits of Jesus death and resurrection from the grave to eternal life (Romans 5:10-11 and 1 Corinthians 10:16---future), we are being nourished and given fresh empowerment directly from the risen Christ through the Holy Spirit who dwells within us. Could God empower us anew without undertaking this ritual? Yes, but that is just the point. Communion is not just some ritual. It is a time in which God provided ample opportunity for us as individual believers to commune with Him. In those few moments of communion our minds are on no other but God. Worldly distraction can be locked out. This is another way that God gives us the opportunity to commune with Him in the same way that prayer gives us opportunity to speak directly to Him and hearing and reading scripture gives us opportunity to hear directly from Him. In fact it is important to realize just what phenomenal benefit is realized by hearing God's word. Romans 10:17 "So then faith comes by hearing and hearing by the Word of God". Want more faith in your life? Read and hear more of God's word. 3). The communion service is a special time set aside for us to recommit ourselves, our very lives to our King. 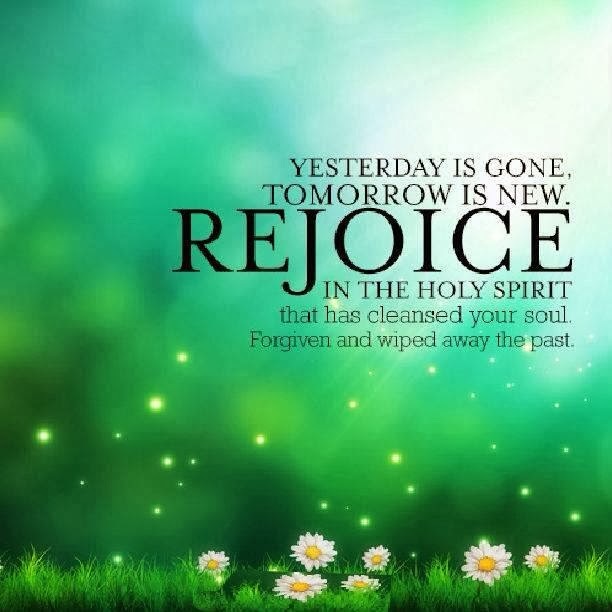 Also to refresh our memories in regards to the anticipation of eternal life which Christ provided by His voluntary unspeakable suffering and atoning death. That atonement by His shed blood removes the necessity for any believer to shed his own blood (or the blood of animals as was practiced in the Jewish Temple) to atone for his or her personal sins. 1 Corinthians 11:28-29 tells us to "let a man (woman) examine himself, and so let him eat of the bread and drink of the cup, for he who eats and drinks in an unworthy manner, eats and drinks judgement to himself, not discerning the Lord's body". And what would be unworthy? For one, by simply thinking communion is just another version in a long line of church service doctrine---another empty ceremony. Communion is 100% about the Lord and what He did for us. It is not about us at all except for our remembering what He has done for us and our recommitment to Him each and every time we participate. 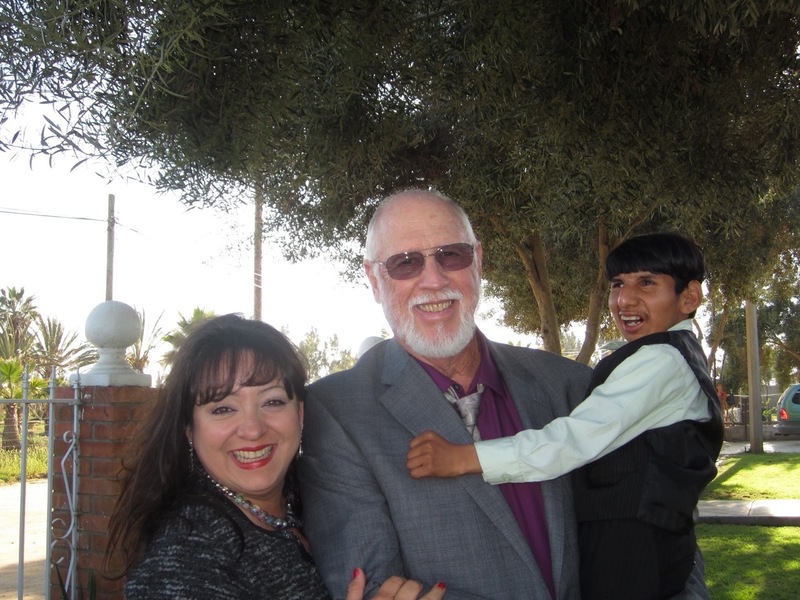 At this point I would like to share a small story from my own life; During one of our several travels to Israel, I purchased a "crown of thorns". A brutal thing if I ever saw one. Twisted, very stiff vine like material sprouting huge, inch and longer extremely sharp thorns. It hangs in my office as a reminder to me regarding the horror of Jesus death, given voluntarily for my sins. Just a few days ago when I was beginning this article, something I was looking for in my office fell behind one of the over stuffed chairs in my seating group. In the process of leaning over the back of that chair, I bumped the book shelf that the crown of thorns was hanging from. It fell directly onto my head, (and no I do not think it any sign from God but merely an example of my own clumsy self). I cannot tell you how much that hurt and it was only on my head for seconds. It gave me tremendous pause to think about the pain that our Savior endured in our behalf. The communion service is a reflection on our lives which can and should lead to repentance when called for. Of course only the individual believer and the Lord Himself knows the secrets of a persons mind and heart. Sometimes I have been asked, "How can I know if I should take communion"? The answer to that is simple. If you are a repentant Christian then yes, you should. If your life is somehow cluttered with hidden unrepentant sin, then I suggest that you have a very serious talk with the Lord and clean that up. Once done then by all means take communion. Try as I might I can find no place in the Bible that gives me (or anyone else) the right to "tear down" another mans' house. By that I simply mean that as a pastor I do not make a habit of attacking other pastors who do not agree with me on the "jot and tittle" of scripture or attack other denominations that are not in accord with my Biblical view. I stick to my own flock and make certain that they are not swallowing any false doctrine and I do that by assuring them that every single word of the Bible is true and correct. But since we are discussing the act of taking communion, I feel it necessary to advise that there is a major false doctrine in a couple of our larger denominations. It is the doctrine of "TRANSUBSTANTIATION". A Webster's definition of that is "Conversion of a substance into that of another". In this particular case, Transubstantiation means that the bread or wafer eaten at a communion service actually and in reality changes as eaten into the physical body of Christ. Also that the wine or grape juice served during communion changes physically into the actual blood of Christ when consumed. This doctrine is totally false and the slightest evidence for it cannot be found anywhere in either the Old or New Testaments. The bread or wafer is merely a symbol of the body of Christ and the wine or grape juice (depending upon the church or denomination) is merely a symbol of the blood of Christ. This is one of those times when believers should always place their confidence in the written word of the Bible rather than the doctrines of men. 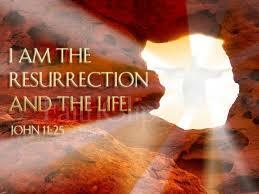 Which by the way is confirmed and directed in the second chapter of the book of Colossians. When asked today, a large percentage of Christians worldwide will say "yes, I do believe that we are in the "end times". A position I hold myself. And if that is the case, it behooves every single one of us to ask that one simple question as often as possible. How am I doing? Is my individual walk with the Lord meeting His expectations? Only you and He can answer that but it is something that we should all take very seriously because after all, (Matthew 24:36---Jesus speaking) "But of that day and hour no one knows, not even the angels of heaven, but my Father only". Who knows, it could be today, or tomorrow, or---??? Accordingly we should all be prepared. I love communion and we have it at home every week.